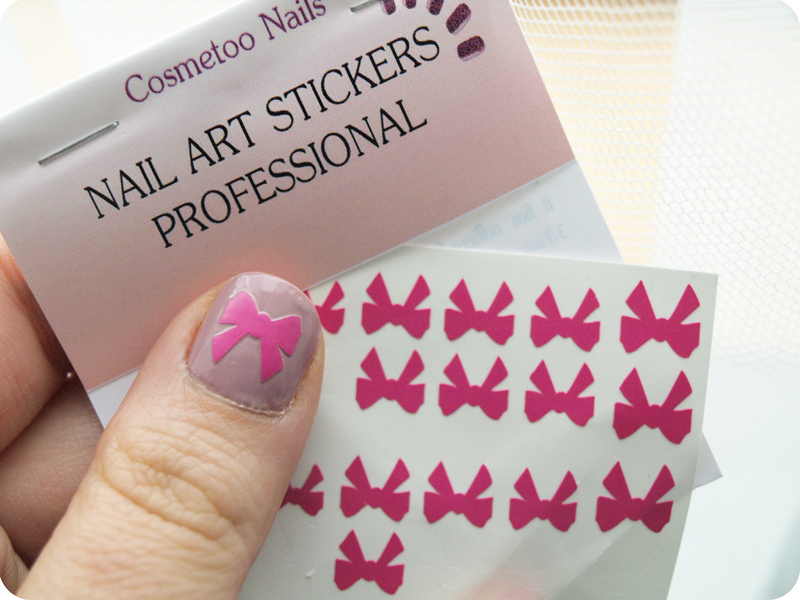 I won a Betrousse box giveaway on Danielle's blog (here) and there was a cute set of nail art stickers and little diamonds/gems inside. 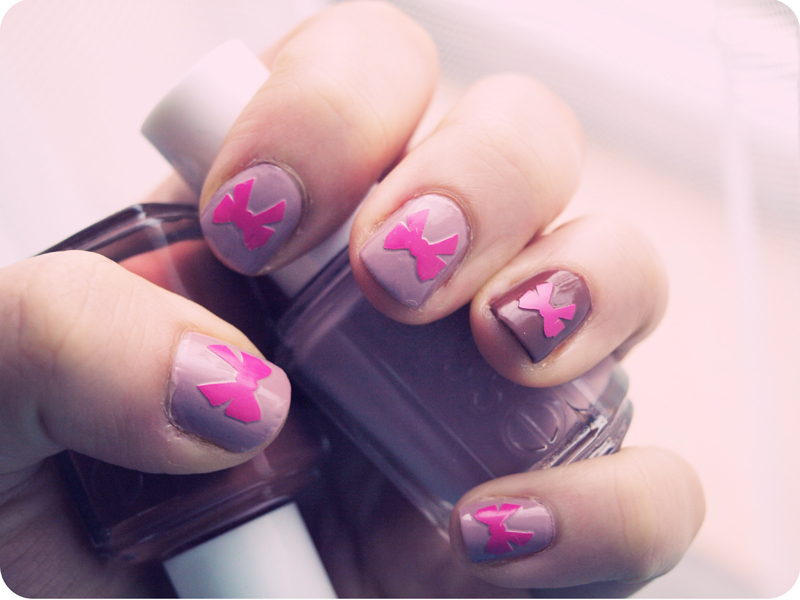 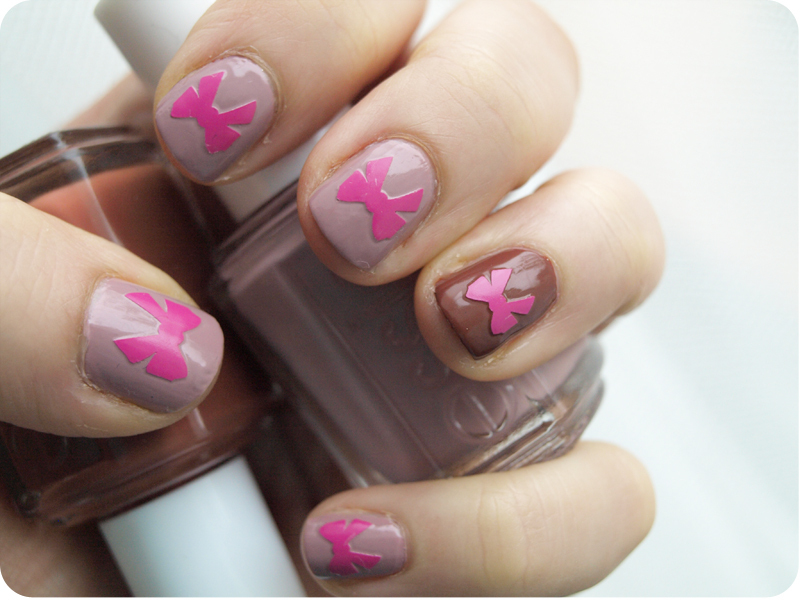 I love nail art, so I used them up very quickly :) They look so pretty! 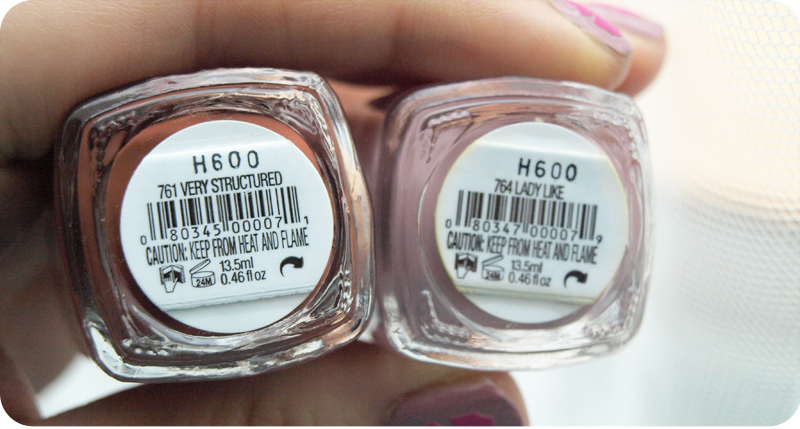 I used 2 nail polishes from Essie: Lady Like and Very Structured + a top coat.